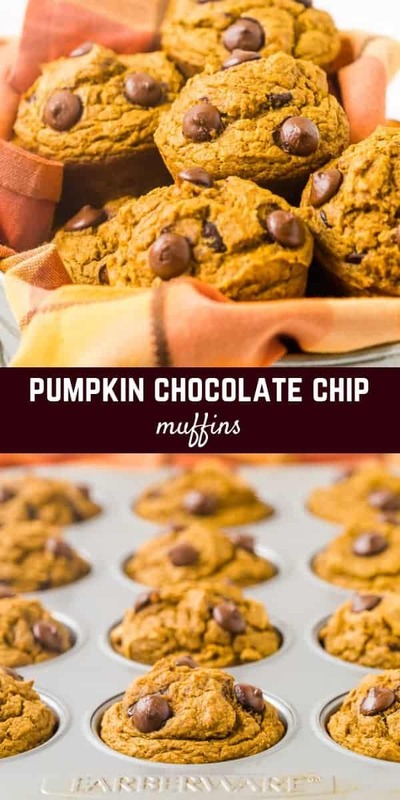 Flavorful pumpkin chocolate chip muffins flecked with dark chocolate chips are going to become a fall favorite! 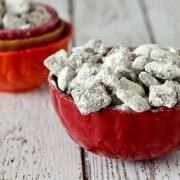 Use whole wheat flour to make them healthier and give them a great nutty flavor! As promised…time for a fall recipe. 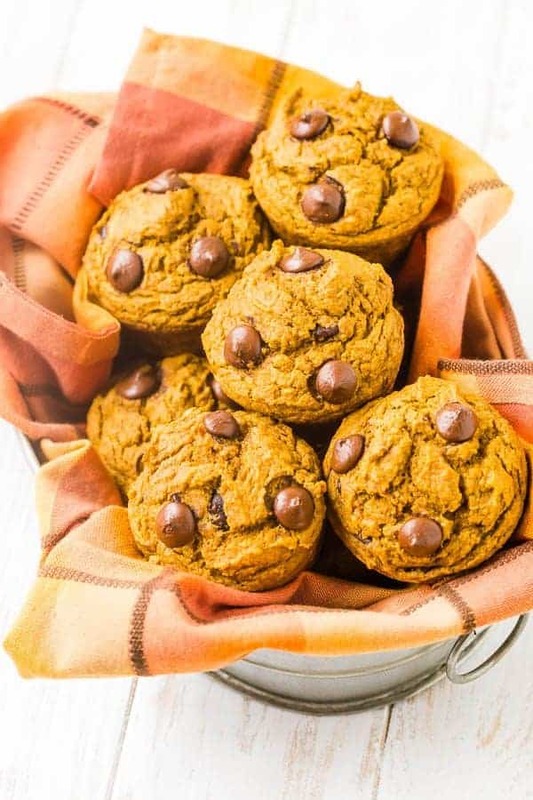 We started the week with tasty tequila lime chicken marinade…so fire up those grills and grill some chicken and then come in for cozy fall-inspired pumpkin chocolate chip muffins. It’s a win-win if you ask me, the best of both worlds. I know pumpkin can cause heated debates these days. In the blogging community, certain folks get reallllly fired up if you crack open those pumpkin cans early. I don’t know if there’s a certain date that’s acceptable, but I think it’s time for a good pumpkin muffin recipe. 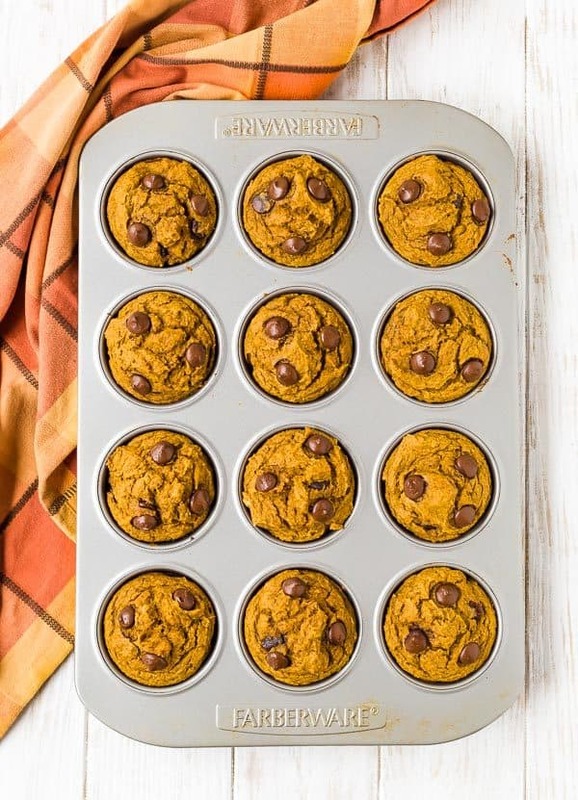 I’ve shared healthy pumpkin bread as well as pumpkin chocolate chip bread, but we haven’t done muffins yet! 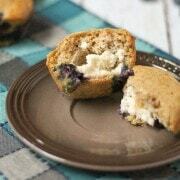 My kids and Ben all adored these muffins. My kids deemed me the best at making muffins, better than grandma! Grandma is THE muffin maker and always has muffins for the kids. Sorry, mom. I think they were influenced by the over-sized chocolate chips, if we’re being honest. I’ll let you keep the crown. Ben doesn’t love pumpkin-flavored things, and said these didn’t really taste like pumpkin. 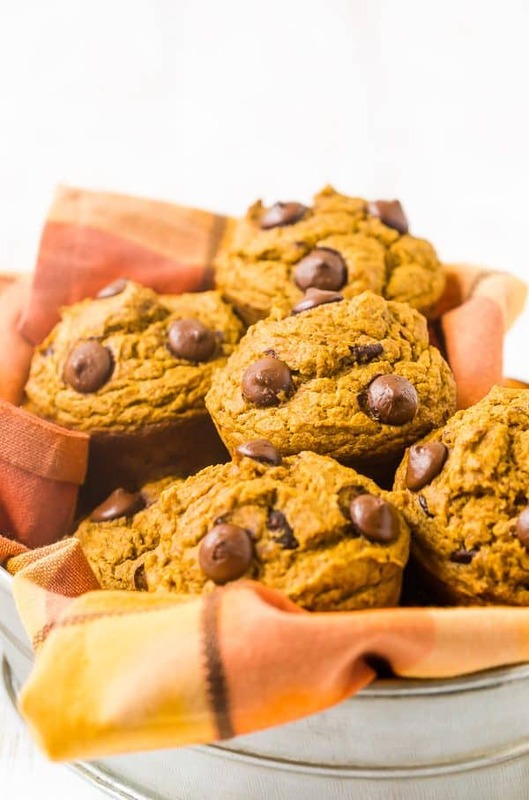 With that being said, if you want a little more pumpkin flavor, bump up the amount of pumpkin spice you use in this recipe and it will really make those fall flavors pop. 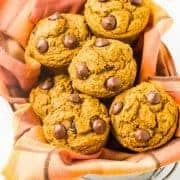 I did make these muffins a little better for you by using a mix of whole wheat flour and all-purpose. I also sweetened them naturally with a combination of maple syrup and applesauce. 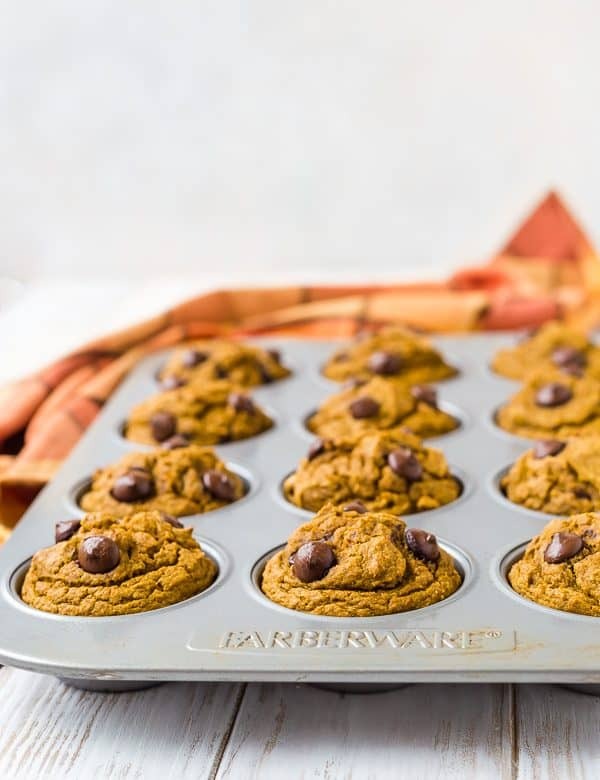 You’ll also find coconut oil in these muffins. You could substitute with other oils or make these with butter, but I do love the coconut oil in these muffins. You’re going to love these so much that you’ll probably want to make a double batch! You won’t be sorry. Tip: Don’t forget, you can always substitute store bought spice for my homemade pumpkin pie spice. On a different note, I’ve been sick all week and I’m so OVER IT. Any tried and true remedies? I hate being slowed down! Preheat oven to 400°F. Spray a 12 cup muffin tin with nonstick cooking spray or line with paper liners. 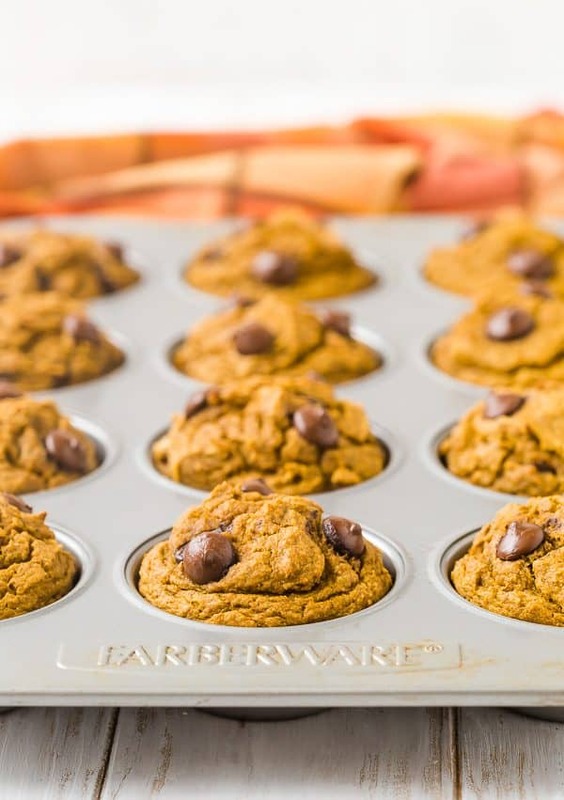 In a large bowl, whisk together pumpkin puree, eggs, applesauce, maple syrup, coconut oil, and vanilla extract. On top of wet ingredients, add dry ingredients: Whole wheat flour, all-purpose flour, baking soda, baking powder, pumpkin pie spice, salt. Mix together dry ingredients gently before mixing dry ingredients into wet ingredients. Stir until combined, do not overmix. 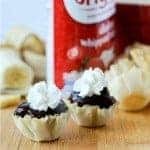 Scoop batter into prepared muffin pan. Top with additional chocolate chips, if desired. Bake for 19-23 minutes or until a toothpick inserted in the middle of one of the muffins comes out clean or with crumbs. Let cool 4-5 minutes in pan before removing from pan onto a rack to cool completely. Verdict: I’m a sucker for anything with dark chocolate, and these muffins are no exception. Husband’s take: Ben loved these muffins, and so did the kids. Changes I would make: None at all! But if you prefer a different kind of chocolate, you could try these with semisweet or milk chocolate. Or you could use nuts instead of chocolate. Or you could leave them out altogether. Do your thing! Thank you for a beautiful chocolate chip muffins recipe. Made this tonight for my family and the kitchen smells divine. It tastes even better. I’m so happy to hear that you love this recipe! Thanks for taking the time to come back and leave a comment!